It is that time of year again. Children are upset that summer is over and it's time for back to school and Parents are trying to re-organize their lives and home to prepare for the school year. Until Midnight on August 21st (EST), all documents within my Etsy shop is on sale for 50% off! With this back to school pack you will receive a Full Year Calendar, Important Dates Calendar, School and Child Contacts, Lunch Box Organizer, Homework Organizer and a Back to school Shopping List to write down everything that you need. 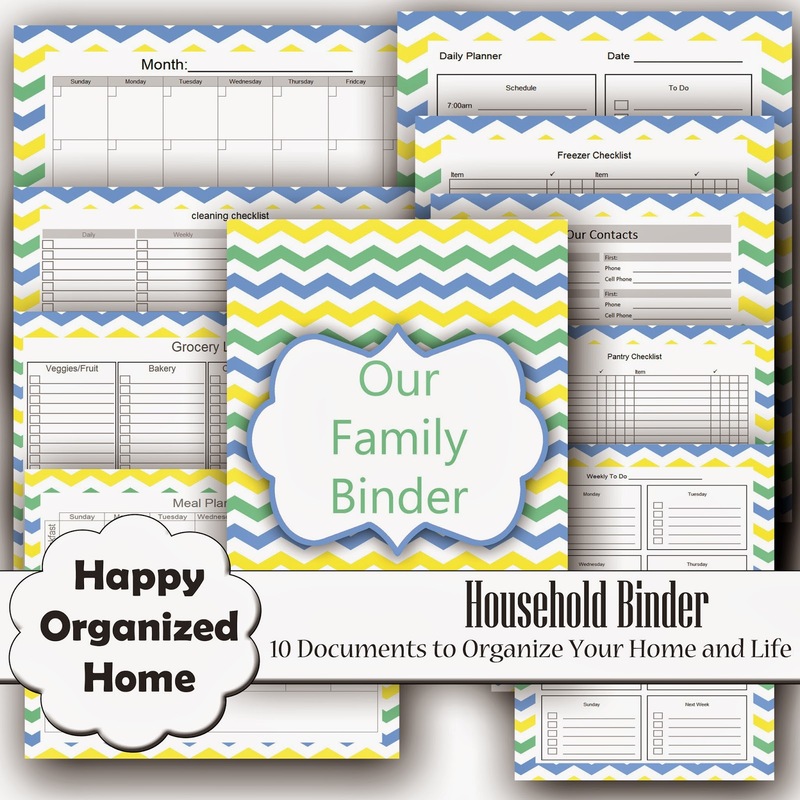 If you have not started a Family Binder as of yet, this is a great time of year to start. 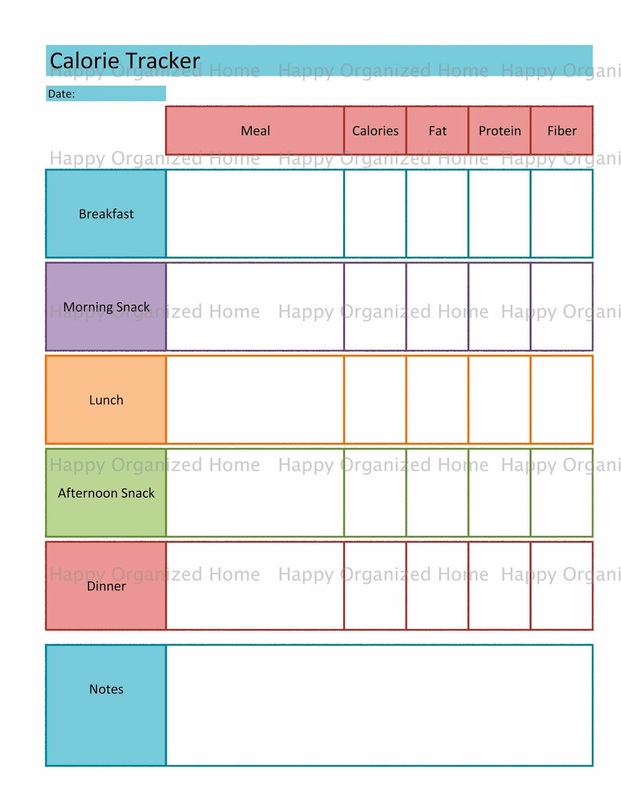 With the Family Planner Set, you will receive everything from Meal Planner printable documents, to Financial Organizing Documents to print and of course Daily and Weekly Planners to print and include in your Family Binder. 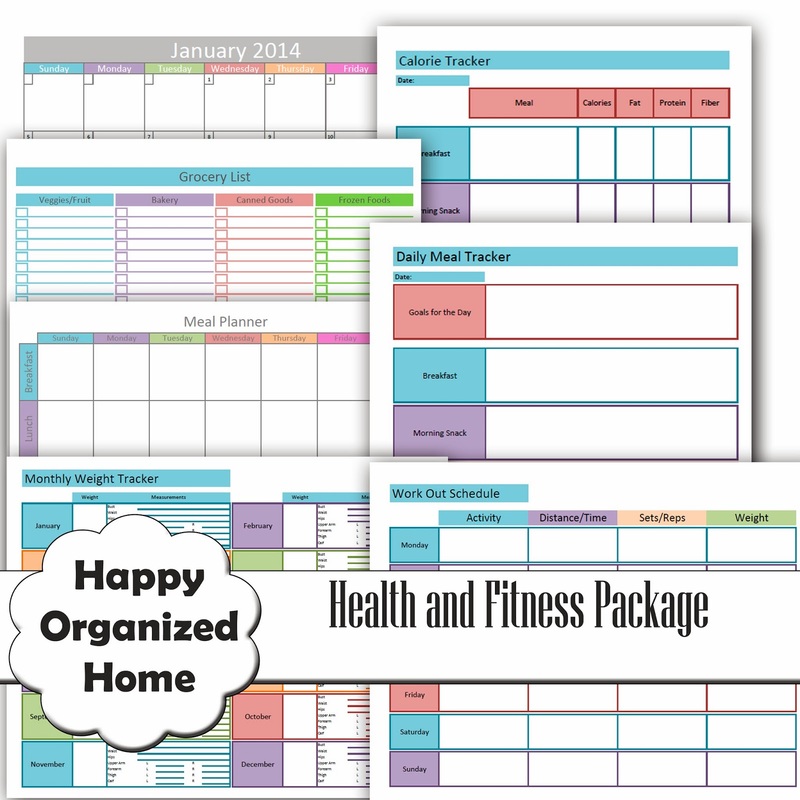 Also you will find Printable Chore Charts, Printable Calendars, Health and Fitness Printable Set and more Documents to Organize you Life and Home. Enjoy and Stock up during this Sale. 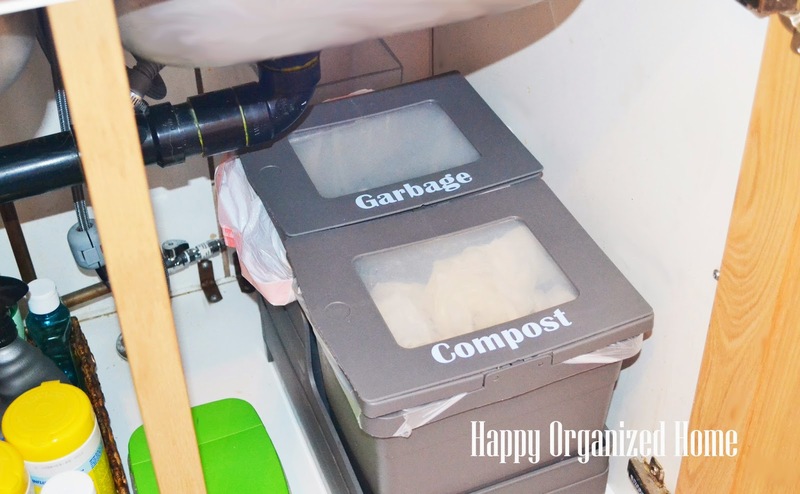 One of the cleaning and organizing items that I wanted to tackle was to clean our garbage, compost and recycle bins. In our area we recycle and compost in addition to our regular garbage. There is not a lot of garbage really once you recycle and compost in your home, but some things still end up in the garbage bin. We wipe down the bins every few weeks, but they seem to get grungy very quickly, especially the lid to the compost bin. Yuck! To organize how we short our waste, we purchased the RATIONELL from Ikea. The Rationell system from Ikea is pull out waste sorting system that you can customize to meet your needs. 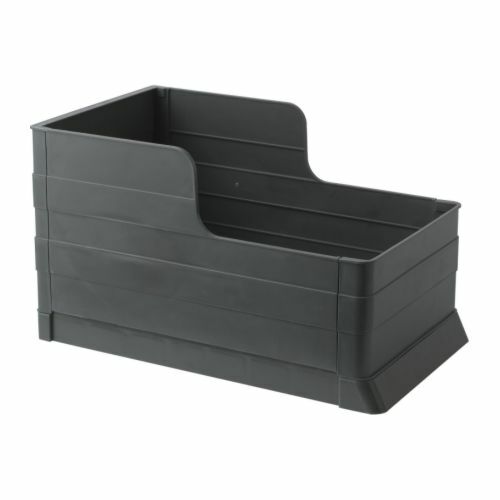 We use the Rationell pull out tray, 2 recycling bins and 2 of the matching lids. There are more options to chose from, but this is what works for us. We use one of the recycle bins for Garbage and the other for our compost. We line the compost bin with a biodegradable bag. There are a lot of different brands to chose from. 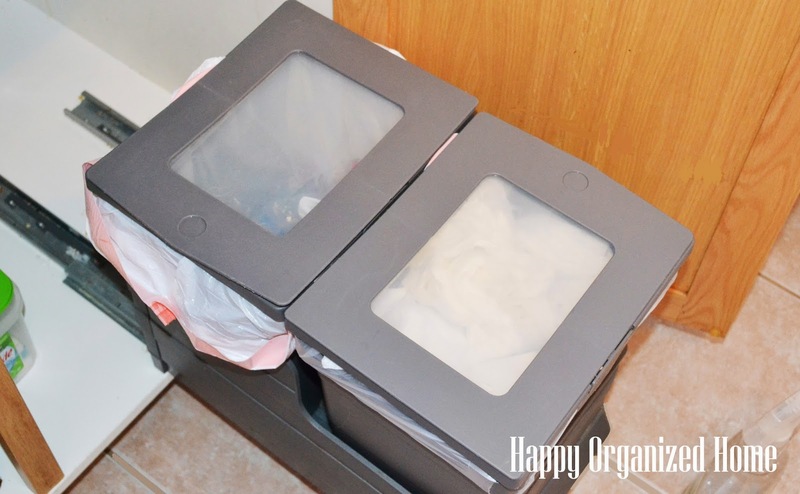 We have found that the BioLife compost bags that you can find at Shoppers Drug Mart work really well. They are not too thin so they do not tear easily. A torn compost bag is just gross. For the Garbage Bin and Recycle Bin we use the kitchen bags from Costco. For the recycle bin, the garbage bag is reused multiple times until it gets yucky. I also wanted to add some labels to the bins. I am constantly having to remind my son which bin is which. As well when we have people over, you will see them staring at the bins not knowing which is for garbage. Labeling them would help solve this problem. 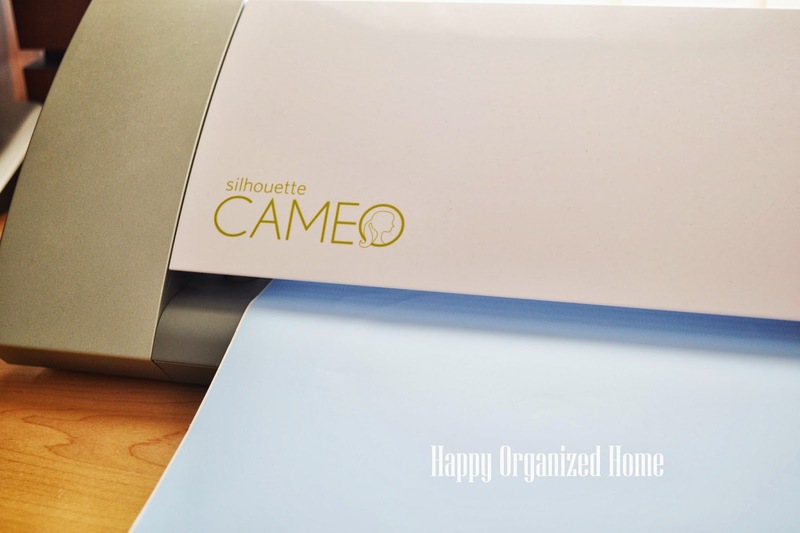 I decided to use my Silhouette Cameo to cut some blue vinyl to add to the bins. The vinyl would be easy to clean is something is spilled on the lids. Next I cleaned the bins with a micro fiber cloth and some green works all purpose cleaner. 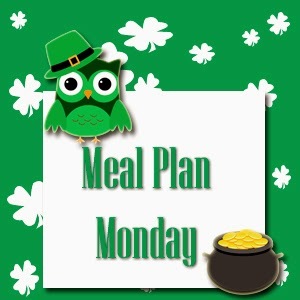 I still have not decided on a recipe to make my own, plus I want to use up the cleaning supplies that I have on hand. This white Bin is what we use for our recycling. 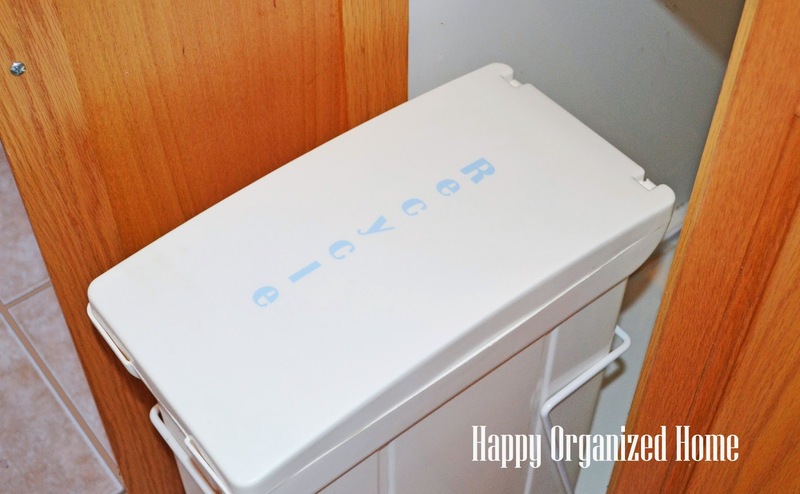 I am not sure where we purchased it from but it works great for our recyclable Items. We just empty it everyday into the large recycle bin in the garage. The compost and garbage bins needed just a quick wipe down since we clean them often when taking the garbage and compost out to the garage. I also wiped down the cupboard walls since there was some splatter on them. 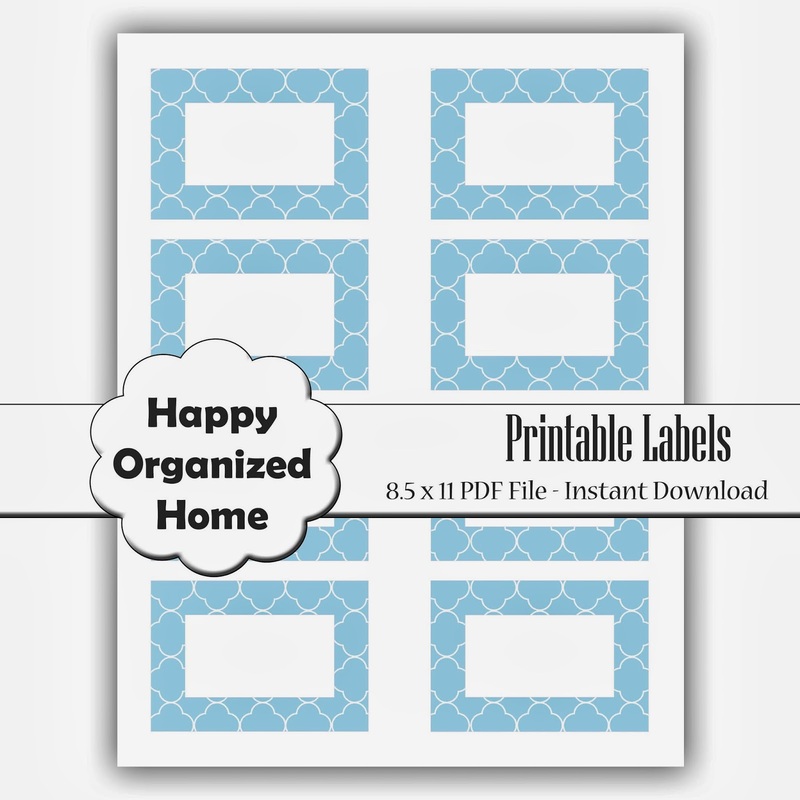 After everything was wiped down and clean, I affixed the vinyl labels that I had cut out with my Silhouette Cameo. The Vinyl is a Light Blue Colour. 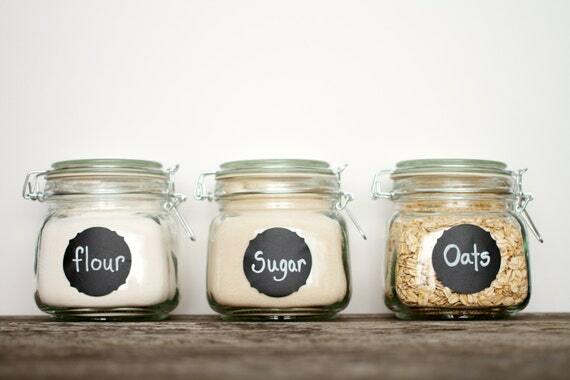 I added the labels to the lids so it is easy to see when you open the cupboard door what bin is for what. Next I did the same to the Recycle Bin. 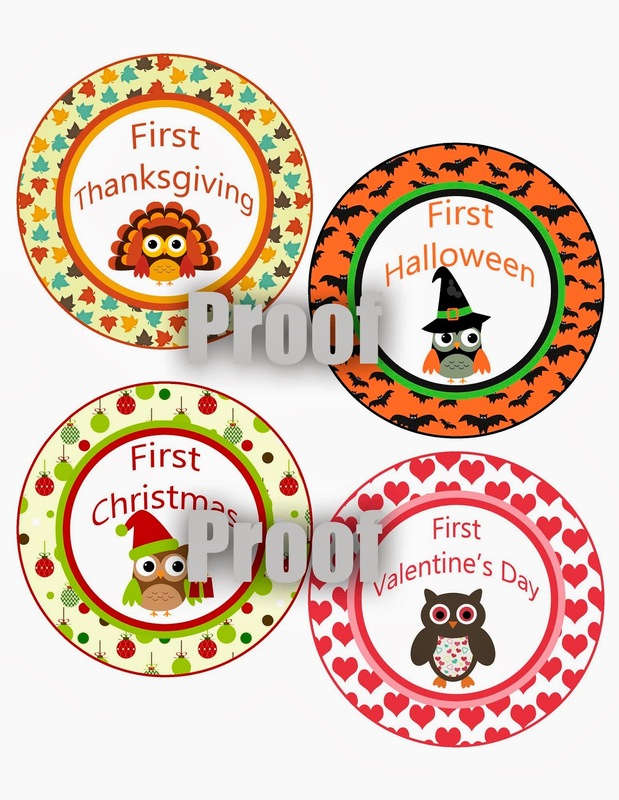 The Vinyl really adheres well to the lids and will be easy to keep clean. I just love them. I also wanted to show you the other side of our under the sink cabinet. I use 2 baskets that I picked up somewhere, don't remember where to keep all of the cleaning supplies contained. Right now they are full of store bought cleaners. I hope to have my own cleaners ready by sometime next week. And there you have it. It has been so nice since I cleaned this up to not have to answer what bin is for what. 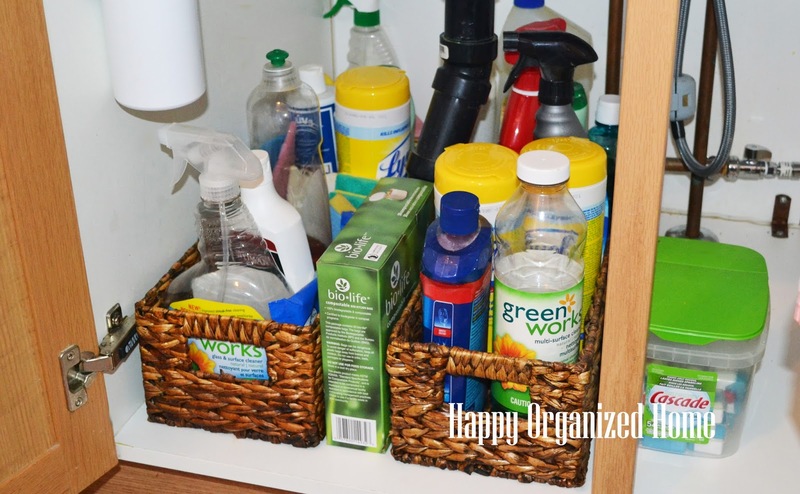 In total this task took me about 30 minutes which is not a lot of time to have everything cleaned up and organized..
How do you keep the items under your sink clean and organized? This winter has been long, cold and snowy. While I expect winter to cold and snowy, usually we have some weeks where it warms up and some of the snow melts. Well this winter we did not have the normal winter warm ups. It has been cold, cold, snowy and oh yeah really really cold. It is spring already but if you looked outside my windows you would not know that AT ALL. the grass is still covered in snow and ice (oh thanks Ice Storm for that) and it is bitterly cold outside. See I told you. This is a Picture of our backyard. This picture was taken this morning. That's right, We still have this much snow and it is March 26th. This is getting ridiculous. I am done with Winter and I Welcome Spring. Did you hear that Winter, you can go away now. Spring is coming and you are not welcome any longer. Every Spring I get the urge to clean the house. No more winter boots covered in salt and sand, saying goodbye to the mittens, hats and heavy coats. This year I have also decided to try making our own cleaning supplies. I have been wanting to start making our own cleaning supplies for quite some time and now is the time that I am taking the plunge. I have spend the last few days on Pinterest looking at different recipes for Cleaning Supplies. Some use more chemicals in them then others and I would like to use something that is more natural. We don't have any allergies in our home to fragrances so I will still use some essential oils, or natural fragrances since I would rather our home did not smell like vinegar. I will be posting the progress I make with the cleaning products, and review whether I like the way they cleaned. I am hoping that by Easter I will have completed all of our Spring Cleaning and have decided on what homemade cleaner recipes that I liked the best. Tomorrow I will post a my cleaning list. It will be in no particular order, just a list of what I would like to achieve in the next few weeks. Would you like to join my Spring Cleaning Party? Stay tuned for a link party where you will be able to share your spring cleaning tips. Have a tip you would like to share? Be sure to add a comment. Let's help everyone with their spring cleaning. What? Today is not Monday??? Oops, Guess I am a little late this week. We are still working on finishing our basement right now. It is a long process and is taking longer then I had hoped. Today I have been thinking about the office that we are adding to the basement. I have been trying to pick a paint color, but have not decided what look I want for it so picking a paint color has not been easy. I thought that if I looked around Etsy, I might find some items that I love which will help me pick the paint color. 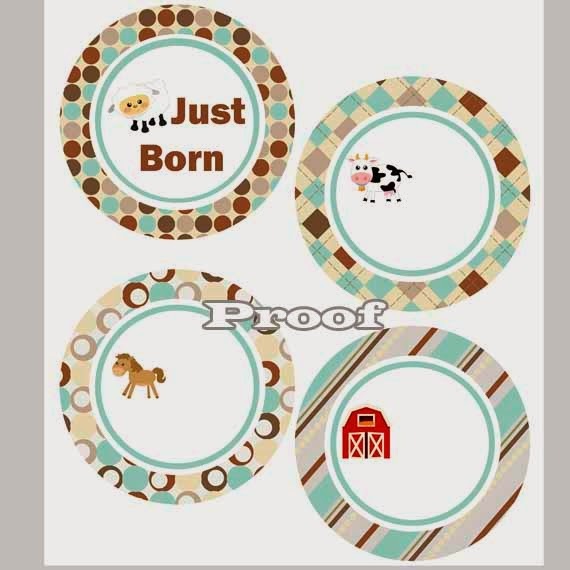 Here are some of the items that I found today while looking around on Etsy. Friday - Chicken Pita Wraps, with Baba Ganoush, Lettuce, Tomato, Cucumber and Feta Cheese, with Sweet Potato fries. Saturday - Take Out Thai Food. Yummy! Anyone else sick and tired of Winter? This winter has been a difficult one. We have had more snow then we normally have, the temperatures have been ridiculously cold, and it keeps lingering on. I AM DONE WITH WINTER. I am dreaming of spring. The warmer temperatures and the flowers starting to grow. Seeing green grass, not white snow. Ahh, I can not wait. To hopefully usher in spring sooner then later, I am having a 50% off Sale in my Etsy shop. Everything is on sale until April 10th. To help save you more, there is also a coupon code to save an additional 25% off when you spend $40 or more. 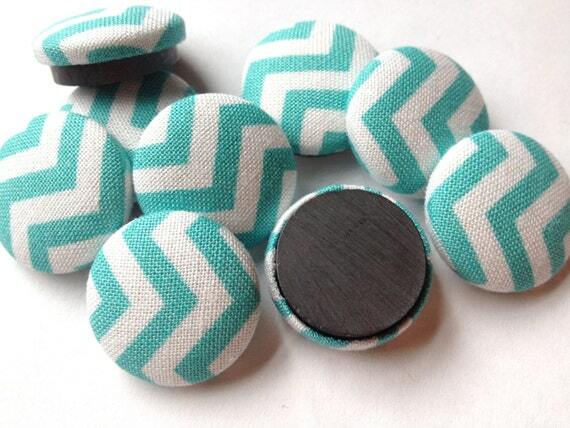 Just Add coupon code WELCOMESPRING during checkout on Etsy to save an additional 25% off your order. Some of the items that you will find. 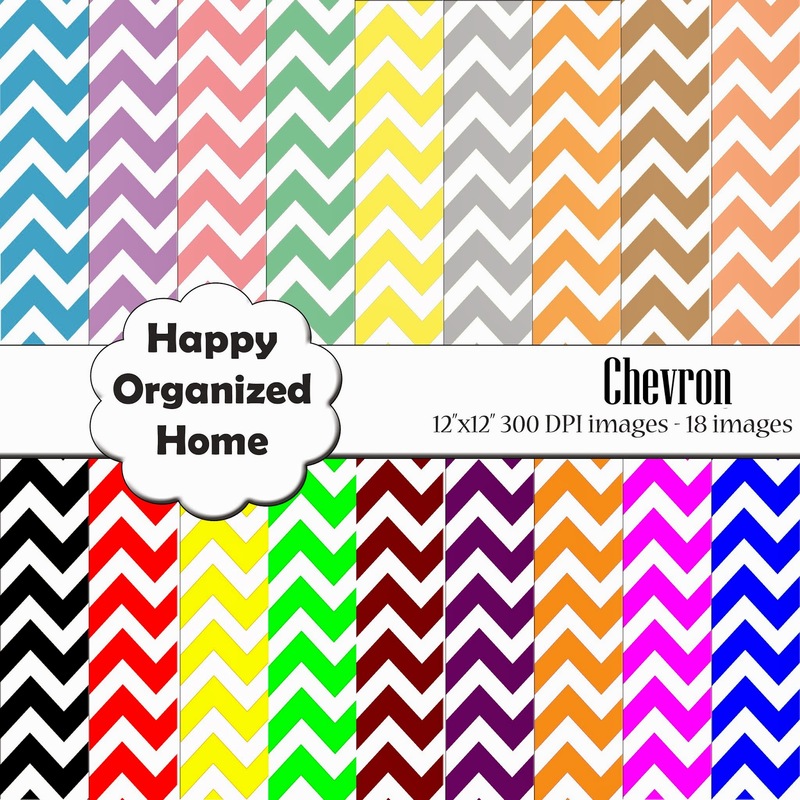 Over 200 Items to choose from to help Organize your Home and Life. Finishing the basement is progressing. I hope to have some pics in the next few days to show where we are in the process. Currently the floor is being installed, which is very exciting! I am tired of looking at the subfloor. One of the items that we needed to address what the basement column. I did not want a standard square column. I wanted something that had some visual interest. When is comes to basement columns generally you see the standard square column. There is nothing wrong with this column, but not exactly what I was looking for. I wanted something with a little more visual interest. The Standard round column, I just don't care for it. It seems like every new build home uses the standard round column. Just not my thing. Now this is something that I like! I like the style of the shaker column. This one is bigger then I would like, and I would paint ours white, but I like the idea. 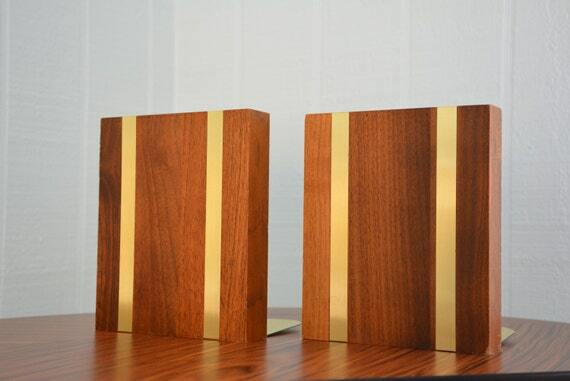 We have decided on a shaker style column, with a chair rail height middle divider. It is already built and hopefully will be installed in the next day or so. 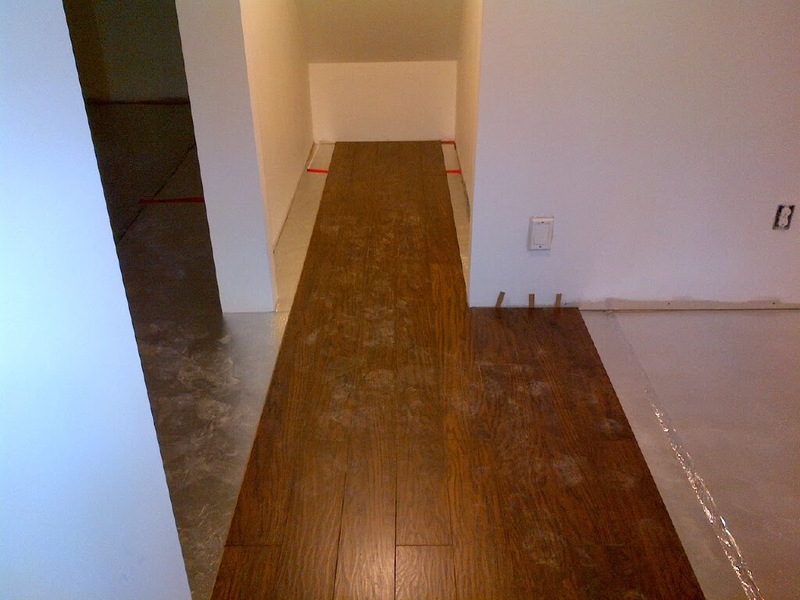 And the floors that are being installed, here are a few pics for you. These were taken with my phone, so they are not the greatest, and there is a lot of dust on the floors but you get the idea of what it will look like. It is hard to see the actually colour and style of the floors in these pictures, but it is a dark hand-scrapped 14mm oak laminate floor. The lighting and my phone give the floors a bit of an orange tone, which they do not have in person. I can't wait for the rest of the installation to be complete! This is a small storage closet that will be used for toy storage. One last look. 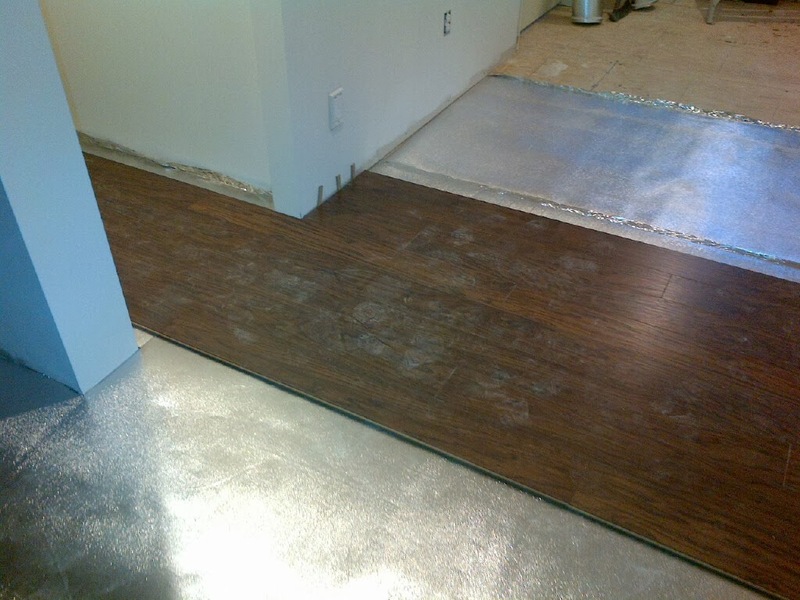 The shiny silver underlayment is perfect for basement floors, as it cushions the floors, but also will add some warmth to the floors. 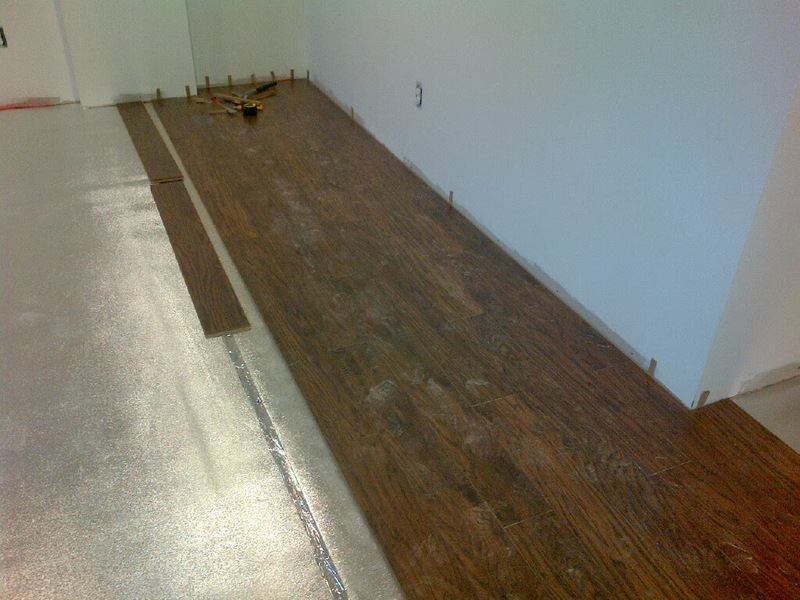 We have also added a subfloor which I will write about in a few days. Now back to shopping. I have so much more to buy to finish this space off. 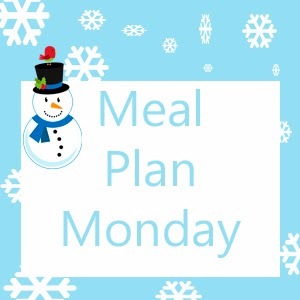 Monday - Roast Beef, Mashed Potatoes, Carrots, Yorkshire pudding, and of Course Gravy. Saturday - Roast Chicken, Roast Potatoes, Salad. Sunday - Homemade Takeout. Breaded Shrimp, Lemon Chicken, Peanut Noodles, Veggie Stirfry, and Spring Rolls. 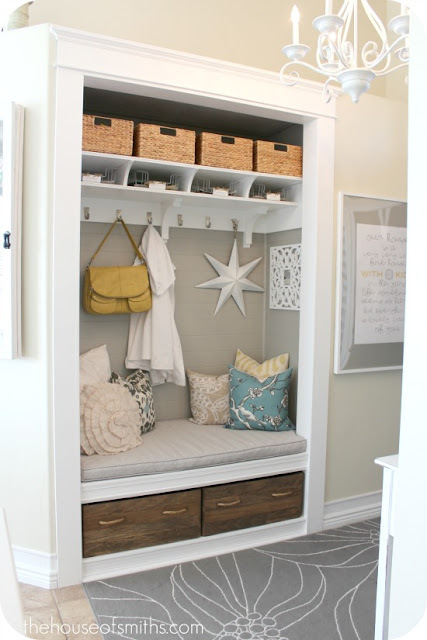 I have been dreaming for a long time about converting our laundry room/mud room closet to something like this. The House of Smiths site is one that you definitely need to check out. This beauty of a front hall closet is from their site. After seeing this picture I am determined that one day (hopefully sooner than later) we will convert our closet that is just not functional into this beauty. Honey's (I pluralize a lot of words, not sure why but I do, it adds to my charm). Where was I? Oh right, Honey's when you read this, start getting ready. This is our next big project, after the basement, after the office, after the kitchen...well who knows what order we are going to tackle these projects but the closet is officially on the list! We are entering the stage in our home where we actually have to list what we would like our son to complete everyday as part of his chores. Prior to this he would happily volunteer to complete everything and anything but times they are a changing. Now I have to ask him more then once to complete something even though he knows he is supposed to these chores everyday. 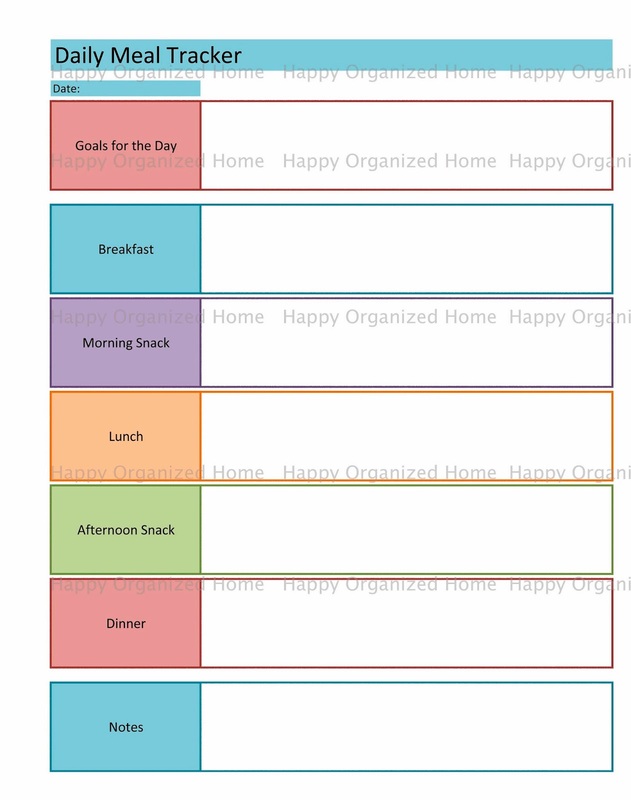 To try and help with this task we have now created a chore chart for him! 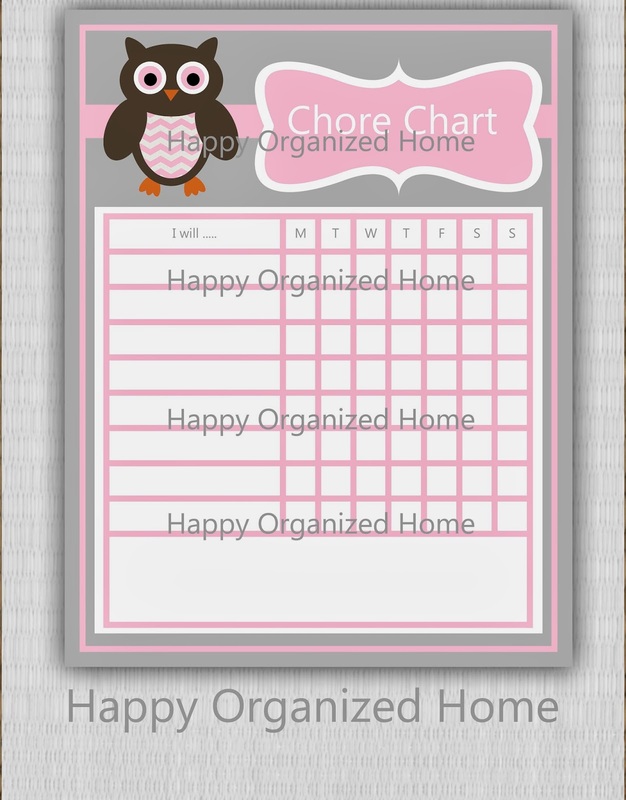 Kids chore charts can be very helpful for little ones to remember what it is they are to do everyday as long as they are not to complicated. 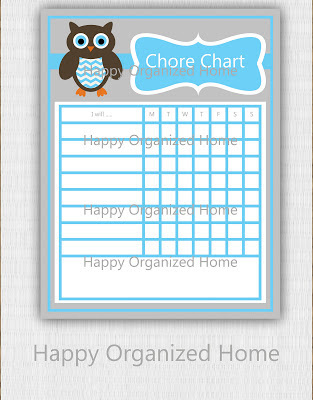 Chore charts can be very simple to implement into your daily routine as long as you keep them simple and easy to use. There is no need to create a complicated process if what you are actually trying to do is simplify your life. Currently in my Etsy shop I am have some digital downloads that you can purchase to help start using a chore chart in your home. 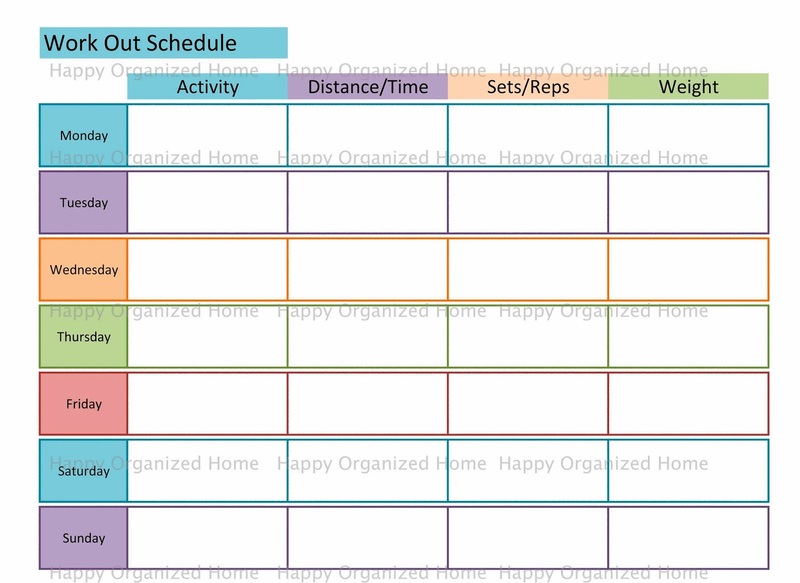 When you have your chore chart ready, there are a couple of ways of using it. 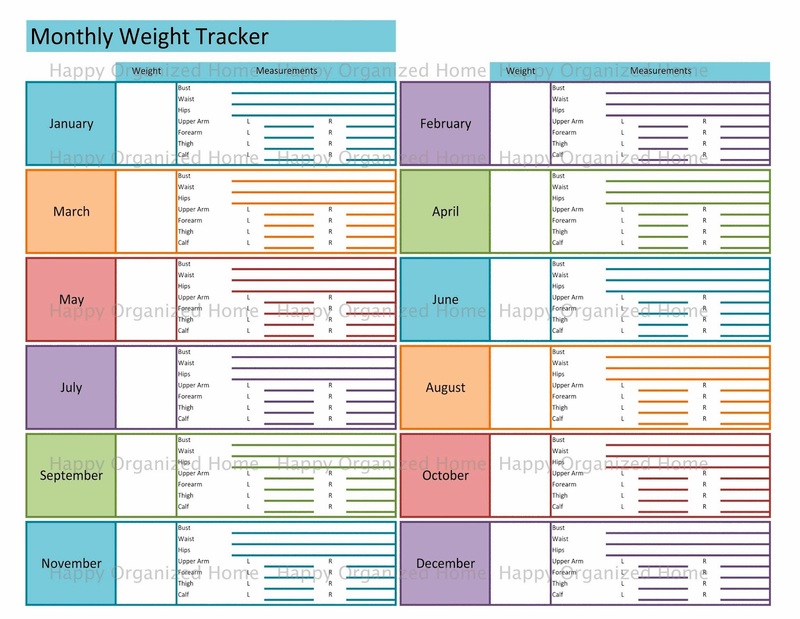 Just print it off on card stock, laminate the chart so that it does not get damaged, or you can purchase an acrylic frame at most dollar stores and just insert the chart in the frame. If you are using a frame you will need to scale down the document before you print it as most frames are only 8x10 and not 8.5x11 paper size. 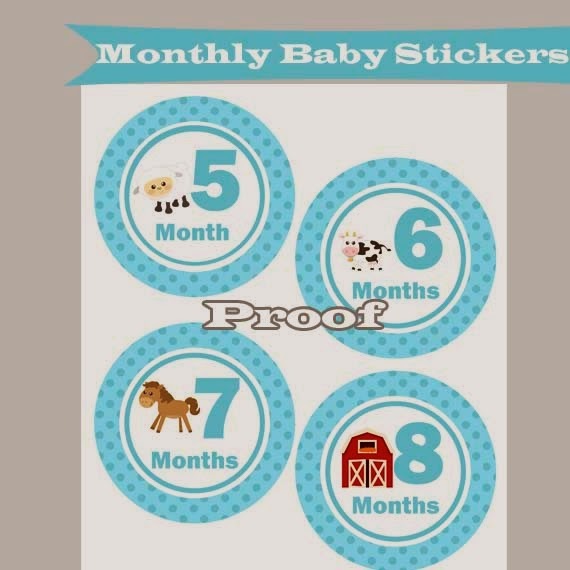 We chose to Laminate ours, since I now have a lamination machine at home (super excited about that). We use a dry erase marker on it, and it has been working out very well. 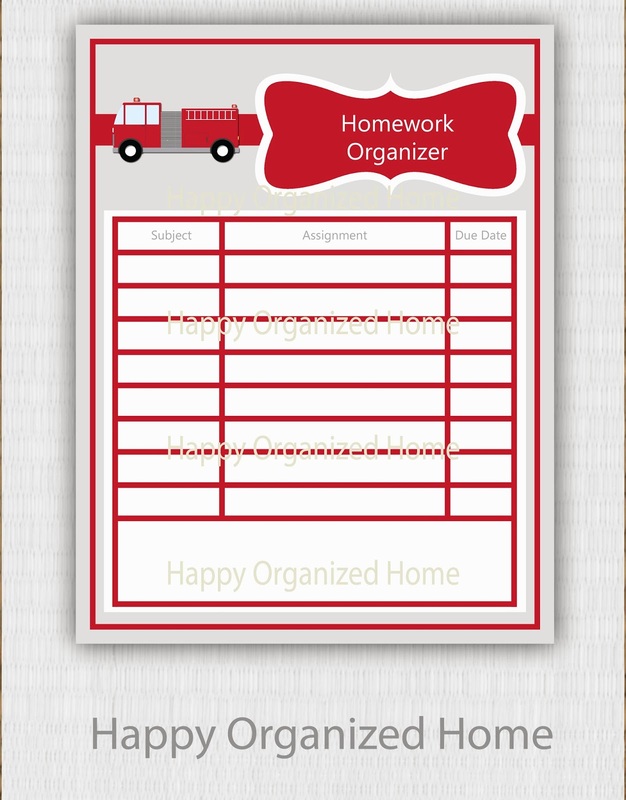 So well that I also created a Homework Organizer for him as well. We have only started using it today, so I can't say how well it will work out in the future, but so far so good! It give him a sense of control, and 6 year old are all about "I can do it myself". 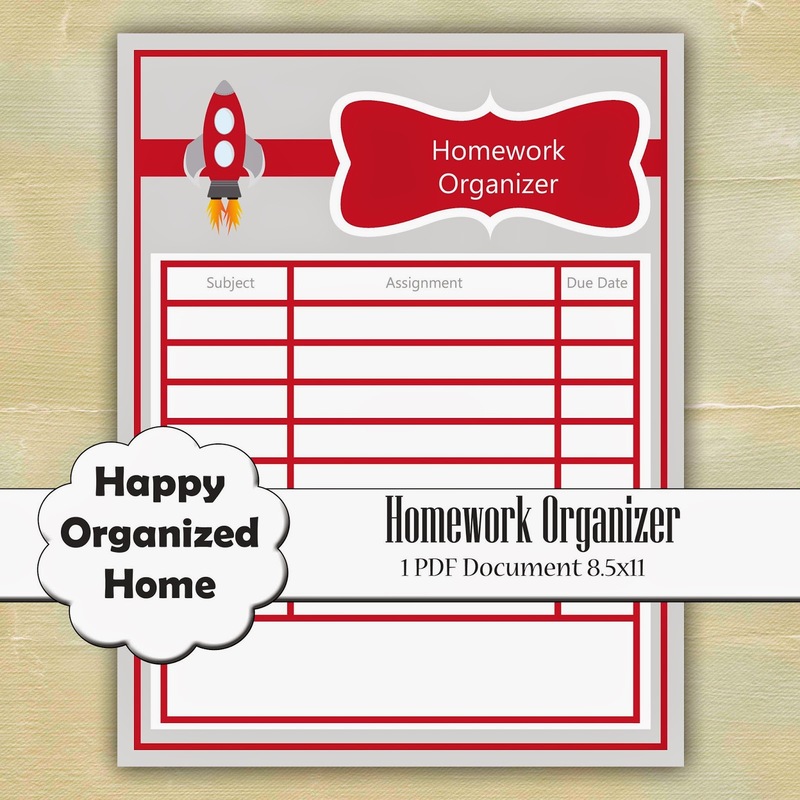 I want to start him off now with the tool to keep himself organized when he actually has a lot more homework. Right now it's only about 15 minutes a day of work, but when he does have 3 hours of homework, he will have the skills to help keep hom o track. 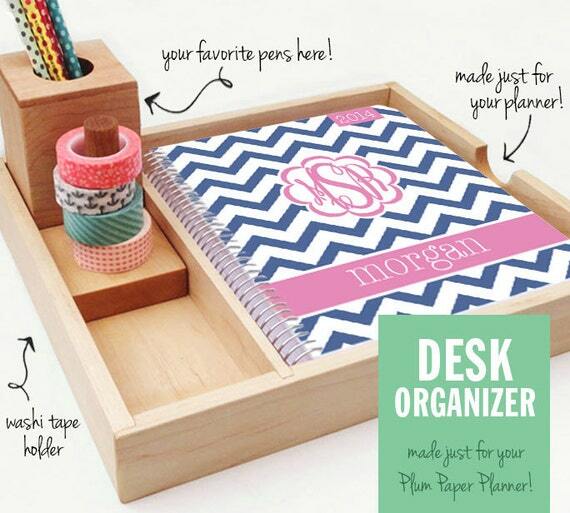 What tools do you use to help keep your kids organized? This past weekend, the Hubby and I went out in search of a Couch for the basement.We are restricted on the size because of a support post, that I wish was in a different position.We have been talking for some time on what we were going to buy to put in that space. 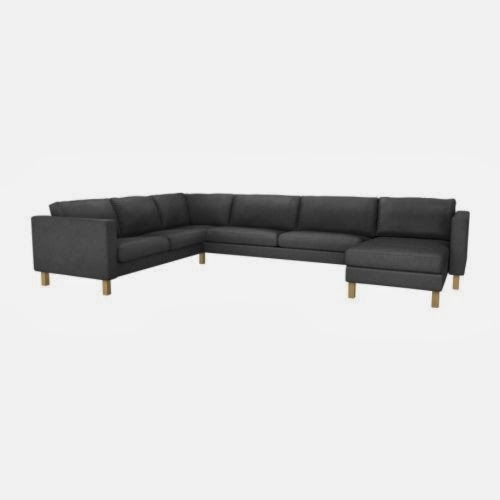 We knew that we wanted a sectional, but what kind? What Size? Does it have a chaise? Do we get one with a recliner? What Colour? Leather or Fabric? What Style? How will it fit down the stairs? The list goes on and on. The cons were that I did not like the colours that it came in. 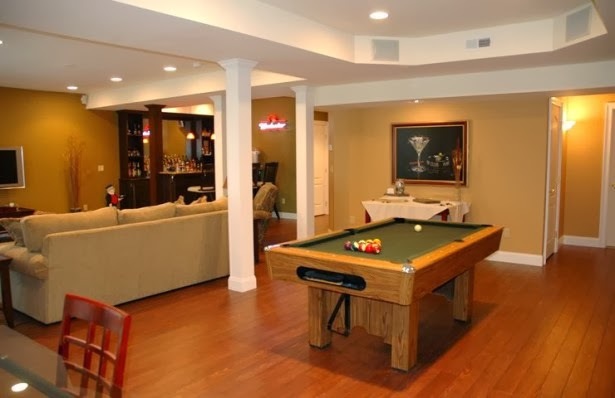 From my last post on the basement, I talked about wanting the basement to be light and airy. The lightest colour it came in was White. Ummm I don't think so with a 6 year old and a dog. The other con was that it did not fit in the space as well as I had hoped. It would have been a little to big on one side and and little to small on the other. The other thing was that really the couch is only has 5 functional seats. The corner is not functional because it is not a wedge at the front, and on sofa, while you could fit more people, one would be sitting on a crack. Cushion crack that is. It just did not seem like Karl was going to work for us. I started to concede on the clean lines that I was originally looking for since I could not find one that worked well for the space and had the clean lines. I started to think that maybe it was best if we went for more of a traditional couch. 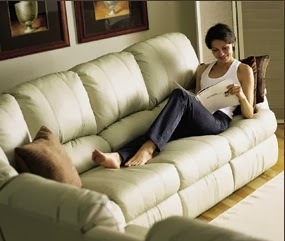 Our neighbours have a sectional couch that you can pick the configuration that you want. Basically you can purchase almost a seat at time. The cost of this couch was more then we were wanting to spend but as it would fit the space better we had decided that if we could get the price within our new budget, we were buying this couch. Off we went shopping for this couch, with an idea in our head of what we were going to purchase and hoping that we could get what we wanted within our budget. We were looking for an Elran sectional. Elran is a Canadian Company that produces a large line of furniture, including specialist furniture for home theater rooms. We went to a local small furniture shop that we knew carried that furniture line, and we purchased our new sectional for the basement. I can't find a picture that allows you to see exactly how it looks, but here are a few examples. The one that we chose will be in a durable fabric that is soft to the touch, and yet I can easily clean it from dirty little fingers. The colour is a soft cream colour. Perfect for a basement where even with the 3 windows in that room is not the brightest. The Sectional we chose has 3 recliners, a wedge seat for the corner and a pull down drink holder/drawer. In total it has 7 really comfy seats. This picture shows the drawer under one of the seats. How great is that! 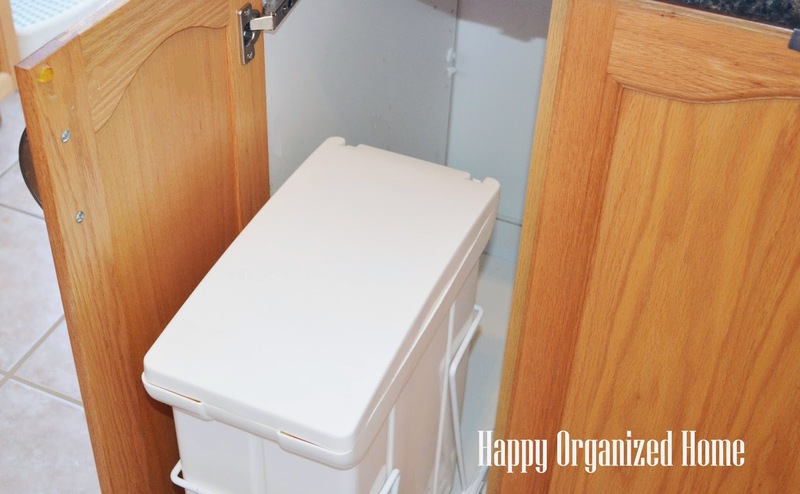 Perfect for storing anything from Toys, blankets, video game equipment. I don't know yet what we are going to put in here, but I am really happy to have it. The same section that has a drawer, also has a pull down for your drinks. 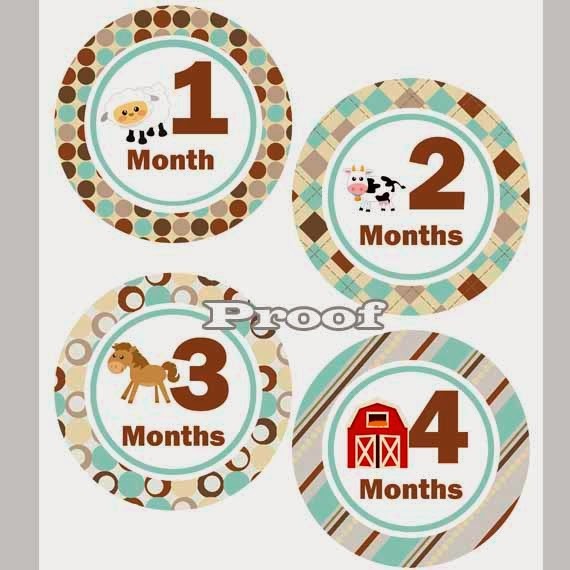 Love this idea. I can just picture us watching a movie in the basement on a cold winters day. I am so pleased with our purchase. We have to wait 4 to 6 weeks for it to arrive, which is perfect since the basement will probably take another 4 weeks to have the construction completed. Now to find some chairs for the space. Thinking of maybe 2 slipper chairs. Not sure yet.